Netflix has helped make rom-coms a phenomenon once again. But before it did that, it made a phenomenon out of one woman in particular: Barb. Remember Barb? Poor, sad Barb, who inspired a movement after she was cruelly devoured by a demogorgon in Season 1 of Stranger Things. With the new movie Sierra Burgess Is a Loser, the streaming service unites these two fan favorites. 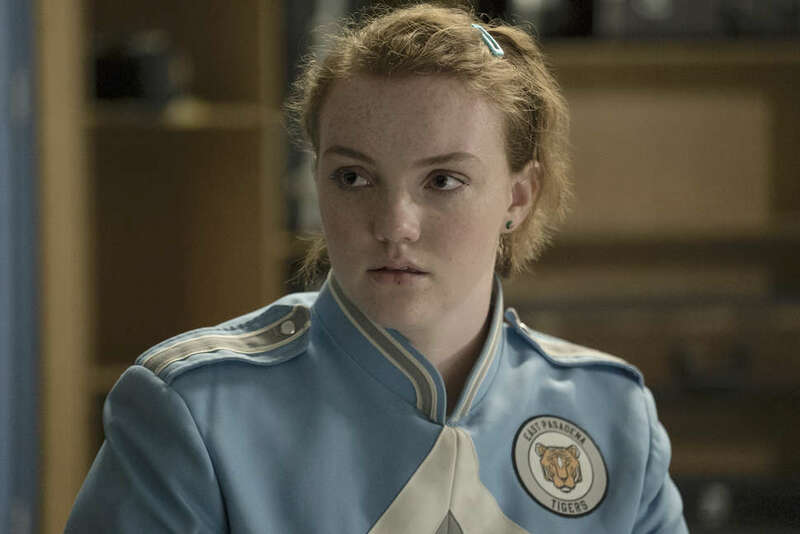 Romantic-comedy plus Barb, aka the actress Shannon Purser, equals runaway success, right? It's hard not to evaluate Sierra Burgess Is a Loser next to To All the Boys I've Loved Before, which Netflix debuted just a couple of weeks ago and is still setting the internet abuzz. They're both set in high school. They both involve some sort of relationship subterfuge. They both star the incredibly appealing Noah Centineo as the male lead. And while Sierra Burgess succeeds sometimes on its own merits, the movie isn't as satisfying, ultimately, as its predecessor. Written by Lindsey Beer, the film puts a teen spin on Cyrano de Bergerac. Purser is Sierra, a whip-smart and ambitious teen who's (seemingly) comfortable in her skin, especially compared to the selfie-taking girls around her. The title is clearly off base. Sierra is anything but a loser, even if she chooses to just blend into the background of the high school social scene, hanging with her best friend (RJ Cyler). It seems the only people who see her as such are a trio of mean girls led by the particularly nasty Veronica (Kristine Froseth). The plot really starts churning when Veronica is approached at a diner by a cute boy from another school, Jamey (Centineo). She immediately deems him unworthy because his friends don't seem cool enough. "Only losers hang out with losers," she quips. So, as a prank, she hands him Sierra's number. Little does she know she just played matchmaker. Jamey and Sierra strike up an adorable text relationship, only hampered by the fact that Jamey thinks he's talking to Veronica. That segues into selfies and, eventually, Sierra realizes she needs to enlist her nemesis in order to continue chatting with her crush. So she offers her a deal. She'll tutor Veronica -- helping her impress the college dude she's pining after -- in exchange for Veronica's participation in her scheme. It's catfishing for mutual benefit. From there, the movie shifts from being about courtship to being about friendship. In a fairly predictable revelation, Veronica turns out to be saddled with her own issues and a tyrannical pageant mother (This Is Us star Chrissy Metz). With Sierra, Veronica loses her bitchy outer shell, and the two young actors project the bubbly, giggly intoxication of new friendship. Director Ian Samuels and cinematographer John W. Rutland shoot much of the movie -- especially the scenes in our protagonists' bedrooms -- in a low, hazy light that conveys the current of melancholy that runs through the film. It's got a darker streak than To All the Boys, but it doesn't really know what to do with that, leading to a messy and cruel third act that wraps up too neatly in a disservice to its characters. (A Legally Blonde-style epilogue explaining where each one wound up feels especially out of place.) It also never really deals with how its central conceit appears to be out of step with contemporary culture. At one point, for example, when Veronica is on a date with Jamey, she forces him to close his eyes before kissing her, allowing Sierra to take her place and flouting consent in the process. 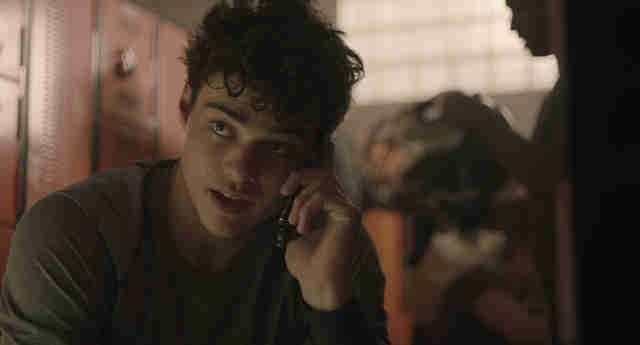 Still, while Centineo's Jamey isn't quite Peter Kavinsky levels of charming, he proves that the innate charisma that has sent people gushing isn't a fluke. Meanwhile, Froseth succeeds in adding some nuance to Veronica's initially one-dimensional put-downs. But the best news, performance-wise, comes from Purser. After Barb, Purser has bounced around on shows like Rise and Riverdale. Here, she finally gets a legit star turn. Though the script's characterization of Sierra is at times uneven, Purser figures out her mix of confidence and insecurity. Now that is justice for Barb.